Let me start with a little background info. This Europe plan was supposedly part of our annual winter trip, in Iceland to be exact. But due to unexpected denied vacation leaves, di ako nakasama. Ang sad no? Missed winter trip and missed Iceland plus sayang na effort for the visa requirement gathering. Depression level 3. And since I still have lots of vacation leaves which are soon to expire before Q2 of the year, I planned my own Europe trip - a summer version. OK, game! The plan is to visit European countries so I needed a Schengen visa. This visa is valid for 26 countries. Check google for the boring info. ○ First things first. Have your vacation leaves approved. This is so crucial. Sayang all efforts for visa requirement gathering if your leaves will get denied. Another lesson learned the hard way. ○ Right after I secure my VL approvals, I immediately booked our tickets. Oh yes, no turning back. I know this is risky, but I cannot resist Singapore Airline's promo that time. Hehe Fine, low-EQ. We got our non-refundable round trip flights to Paris for P40,000. Should have been P35,000 pa nga but maybe there's a surcharge of P5,000 for weekend flights. No problemo! For an SQ flight, solid na tong price na to! Plus I never really had the slightest worry that we'll get denied anyway. Charot lang! ○ Seriously, if I have to do it again, I will still book my flights prior to my visa application. Why? The flights get more expensive as the travel date gets near. Well, it's worth the risk since we saved around P20,000 or even more. Of course we could have settled for a less expensive airline to save money. Erm, not really our favorite option since it's gonna be more or less a 16-hour flight. Choose wisely. ○ So why Paris, France? Why not? 1. Cheap point of entry to Europe 2. Immediate visa appointment 3. Fast processing. 4. Good flight and train connections to everywhere. However, I didn't say easy approval. It's just fast processing, meaning the release of passport won't take weeks or months like in Italian embassy. When you have doubts of getting your visa denied, try Iceland! Approval rate is 99%! Here's 2017 top 5 countries with highest and lowest approval rate. ○ Joke lang. You can't just choose any embassy. We scheduled our appointment at VFS - French Embassy because France is our point of entry and exit, plus we will be staying there the longest. Be mindful of this since it's really important to know which country will you be needing to apply for the schengen visa. 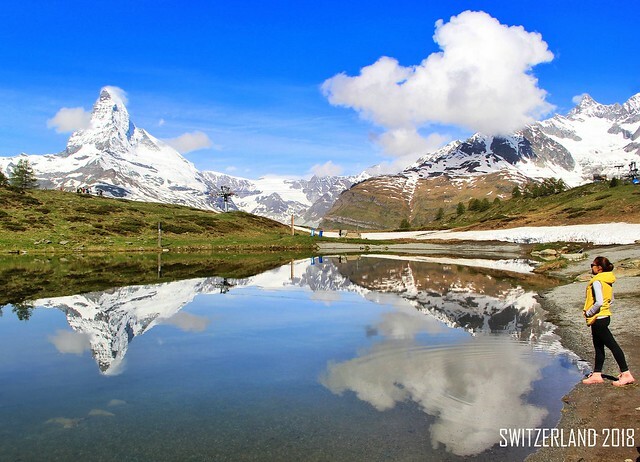 Ours was even questioned because in our itinerary, it stated that we will be staying for equal days in France and Switzerland. Count wisely and justify, else you will have to reschedule with another embassy. Well, the Swiss Embassy is still OK afterall. Moving on, here's the list of the Schengen visa requirement I actually submitted. Application form thru VFS. Pagtyagaan to fill up. There's no shortcut. And prior to filling this applcation, have your mock hotel booking ready. This is needed in the application form. All passports, old and new. Round trip tickets. No problem here since we already booked our flights, even without a visa yet. Low EQ I know. Anyway, if you need to reserve flights but not pay for the actual flight yet, I recommend having a flight reservation thru Travelmaker Travel and Tour PH. Reserve flights for 3-6 days without actually paying for the flight. Reservation fee costs P500 for 5 flights. Good deal. Travel Insurance. We got ours from Malayan Insurance for P1,650 (good for 24 days). Day to day itinerary. I didn't use our real plan because it's not finalized yet. We used a very believable itinerary instead. Email me and I can share this with you. Hotel reservations. Booking.com is gold for mock hotel bookings since cancellation is free. Again, these bookings are not the actual ones we used. Bank Certificate from BPI. The most asked question is how much show money do I need for a schengen visa. Well, simply compute the number of days of your Europe trip x daily expenses + airfare + some extra so you won't get broke after the trip. In our case, 17 days x P5,000 daily expense + P40,000 airfare + P50,000 spare money. Do the math. At hula ko lang yan yan sympre. I think the money in your bank does not really make or break the decision of having a visa. Bank Statement from BPI. Bundle with bank certificate if you request from BPI. P100 for both. COE with monthly salary, tenure, and approved leaves. Told you, having your leaves approved is important. This stated my date of return to work once this vacation is over. Latest ITR. I pay taxes, unfortunately. Notarized Contract to Sell documents and Receipts from DMCI. We picked a morning schedule and it was a breeze. After the collection of requirement, a few questions, and the biometrics part - we're done! If the requirements are complete, it will be easy. For this trip, we requested a single entry visa for 17 days. By the way, no need to pay the SMS or Email fee for notification since VFS website has a real time tracking tool. It's free. Just after 2 days, we tracked our visa and these were ready for pick up! 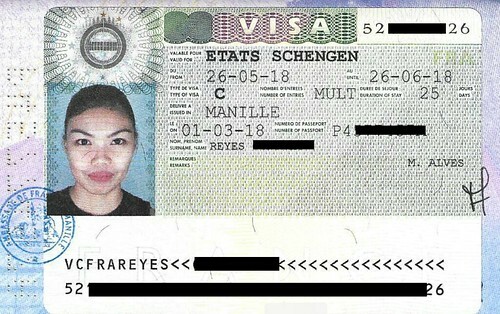 To our surprise, we're granted a multiple entry schengen visa for 25 days, wow! This means we can get out of the Schengen area and make a re-entry. And just like that, Morocco became officially part of our trip. Strong contenders were UK and Russia. Morocco has been on my bucket list like Japan and India so I have no doubts dropping the French and Italian alps in exchange of the Sahara Desert. Fares to Morocco from Manila are so expensive unlike if flying from Europe. So ayun, it's gonna be Europe + Africa now, amazing! Southeast Asia has truly become one of the most remarkable regions in the world for resort vacations. To some extent, this has been true for a long time. The gorgeous beaches and remote getaways in this part of the world have always made for excellent retreats, and have long been considered hot spots for honeymoons, destination weddings, and other intimate getaways. More recently however we’ve also seen the rise of high-end urban hotels, casino resorts, and generally more commercial establishments, which have added some variety to the region’s accommodations. Frankly by this point it’s difficult to keep all of the highly rated options straight, let alone to narrow them down to a few choices. But we’re going to try to do that here, as well as provide a sense of the variety of resort offerings in the region. 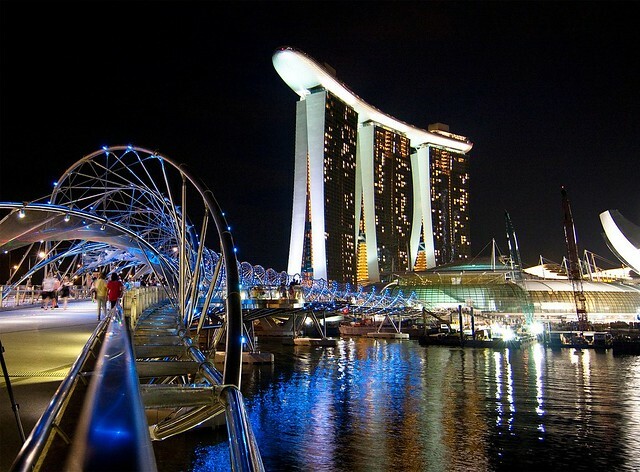 If there’s one urban resort you’ve definitely seen or heard of from this part of the world, it’s probably the Marina Bay Sands in Singpaore. This is the one that consists of three separate towers, supporting a sort of roof (complete with one of the world’s most incredible infinity pools) across all three. Known as a destination for those who appreciate luxury, it’s a larger than life venue, complete with excellent restaurants, an on-site casino, numerous surrounding attractions, and the aforementioned pool. Surrounding the pool is a whole area known as the Sands “SkyPark,” which includes incredible views and a bar. Here weren’t getting away from massive urban complexes and more into island getaways. The El Nido Pangalusian Island is located on the Philippines’ Pangalusian Island, and is known as one of the best retreats in the entire region. The island is fairly small, relatively speaking, and with its front facing a white sand beach and the sea beyond, and its back right up against the tropical forest, El Nido can feel as if it is its own, isolated paradise. 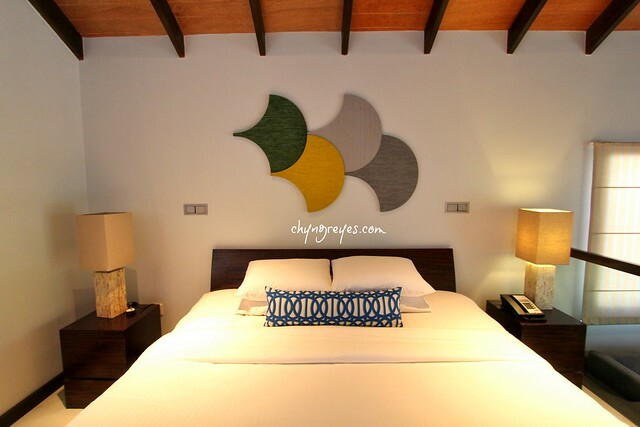 The amenities are comfortable and the service has a strong reputation, though this is also an eco-resort, which means that in some ways it can feel a little bit simpler than some other island getaways of this caliber. The Sands Macau is part of what’s effectively become Asia’s Las Vegas Strip. While Singapore has a claim to this sort of atmosphere as well, Macau has made an effort to set up resorts that are strongly reminiscent of Vegas, and the Sands Macau is probably the best of them. It’s a huge complex complete with everything you’d expect in a world class casino resort, including nearly 300 rooms, a huge gaming area, spaces for weddings and parties, and state-of-the-art facilities and exquisite cuisine. If you’re interested in a vacation on which your every whim is catered to, and you’re also interested in exploring a fascinating cultural destination (which Macau most certainly is), look no further. Travel & Leisure, about as respected a travel publication as there is in the world, did a write-up of the best resort hotels in Southeast Asia that essentially amounted to being an advertisement for the Four Seasons. That’s not to say anything on the list was incorrect or out of place – the Four Seasons has incredible resorts all over the world – but there wasn’t a ton of variety to the list. 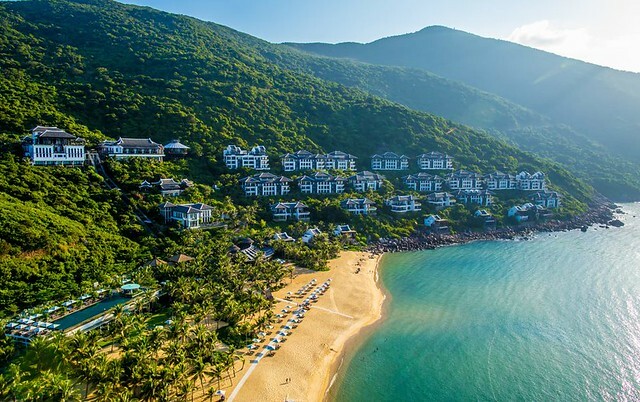 The InterContinental Danang Sun Peninsula Resort was one of the few exceptions. Located in Vietnam on the slope of a lush green hill facing the sea, it’s a stunning place to stay, and has enough on-site comforts and activities to keep visitors from wanting to go anywhere else during their stay. It’s difficult to pick just one place in Bali to make the list, but Bali certainly deserves inclusion. This portion of Indonesia is renowned as an otherworldly retreat, popular for honeymooners, people celebrating weddings and anniversaries, etc. The resort is a little bit different in that it has a clifftop infinity pool and it’s only a short distance from some world famous surf spots, so it’s definitely a place for activity. However, it’s the very picture of luxury. Each individual suite has an ocean view, and even looking at the rooms online will make you feel like royalty. My father had a stroke, twice. It was definitely a life-shaking event for the entire family as my father's health condition became very critical. This was a challenging time for us but I praised God for the gift of chance, health, and life. I sincerely appreciate all friends and online buddies who checked on me when I disappeared from social media. Thank you all for the prayers and concern. This Maldives trip resumes my travel life as I cancelled my other trips to take care of my father's medical expenses. Afterall, these Maldives flights were already booked even before the stroke happened. 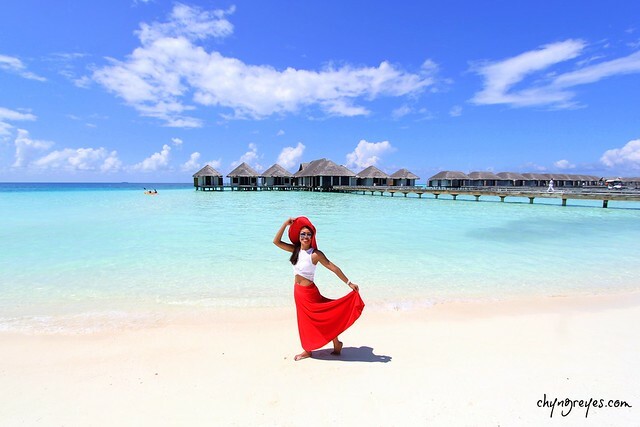 I thought of reviving this blog because it's my first time to visit Maldives. 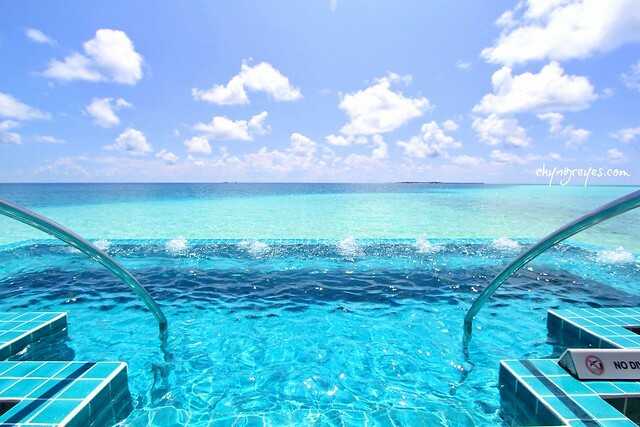 Like Japan, I've always wanted to see Maldives and check why the world is raving about it. First things first, I don't eat instant noodles and other instant crap food variation. Even before the stroke happened, I started to eliminate those crap in my body. Arte lang. This even got more serious when the stroke happened and the doctor advised our family to restrict salt, sugar, and fatty food. So for this Maldives trip, no instant noodles or canned goods are consumed. Haha! 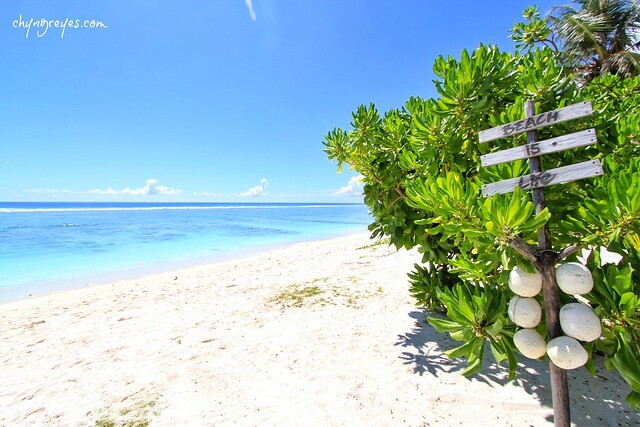 It was a 7-night trip to the island paradise situated in the Indian Ocean. My Maldives buddies Kirk, Atty Julius, and I booked our Manila-Singapore-Male flights on a promo via FlyScoot (used to be TigerAir). 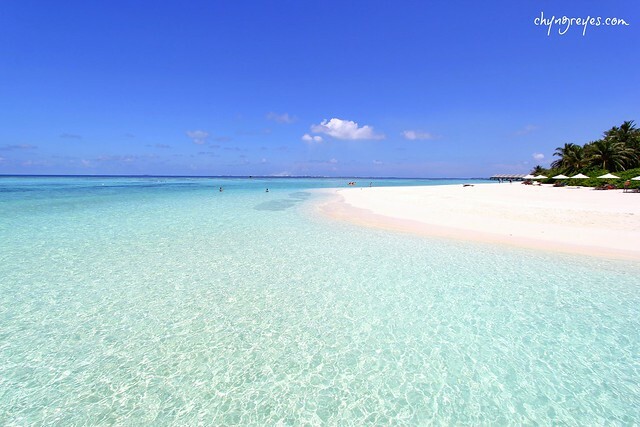 Initially, we planned for the usual budgeted Maldives trip because the heck with the prices in the island resorts. They are extremely expensive! It's unbelievable that some island resorts charge P1,000,000 a night! I know I know, may market ang ganyang exclusive resort. Move on. We planned to book a resort in the public islands like Hulhumale, Maafushi, or Male. 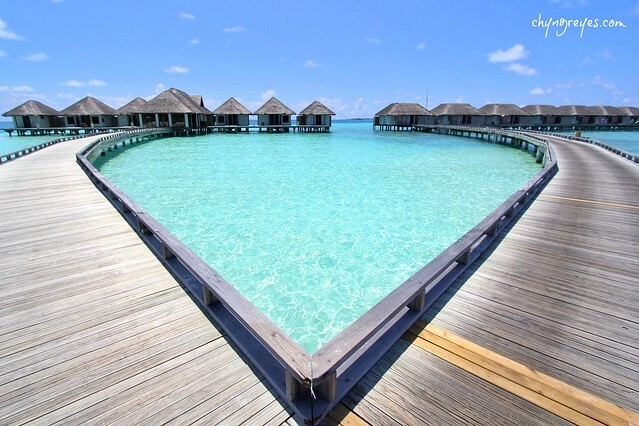 However, we had a change of heart when we glanced upon The Velassaru Maldives. We couldn't stop thinking about it. We have other choices but our hearts surely knew we wanted to experience that kind luxury. 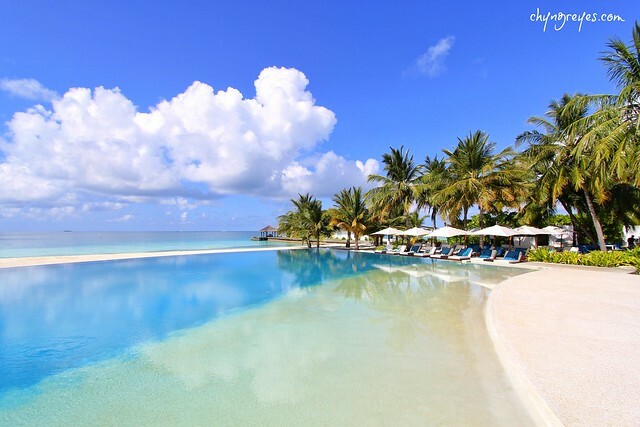 What made us choose Velassaru Maldives among the hundreds of resorts in Maldives is its certification with the Small Luxury Hotels of the World. I had the chance to experience this deluxe service in Misibis Bay when it was once part of Small Luxury Resorts group. It was exceptional, incomparable, and unforgettable. The current resorts in the Philippines with this tag are Pangalusian Island Resort in El Nido, Eskaya Beach Resort and Spa in Bohol, and Anya Resort in Tagaytay. Since Velassaru Maldives has this tag, there's no way our trip won't be amazing and there's no way our money will be misspent. ..and I was right! It was definitely worth it. For the record, this is NOT a sponsored trip or a paid blog post. 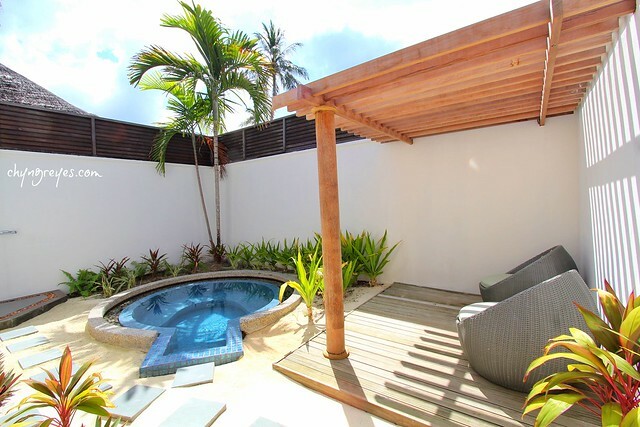 We booked for the least expensive villa in Velassaru. It was 40% off at that moment and it amounted to P22,000 per night. This includes breakfast for the 3 of us. 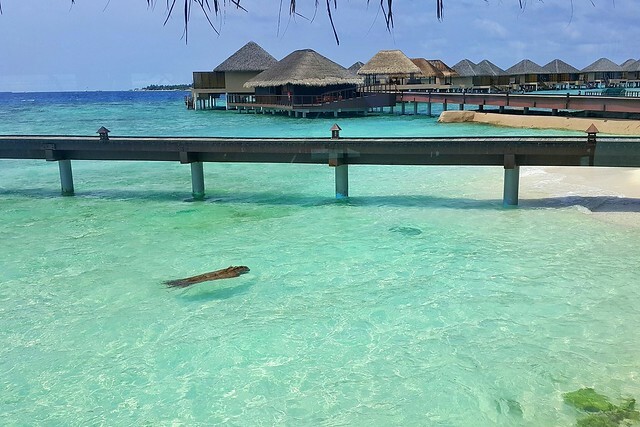 The water villas cost around P75,000 per night. Not an option for us, kalabisan na. Come to think of it, the price was just right for a small luxury resort. What made us think twice was the speedboat transfers which costs USD131 which is subject to 10% service charge and 12% GST. Excuse me while I faint, that's around P8,000 per person! Yes, the rate is per person and not per group. This is not even private since the exclusive transfer is pricier. Ang mahal nga talaga sa Maldives! There's no other option for the record. This speedboat transfer by the resort is compulsory. Then again, it was all worth it. 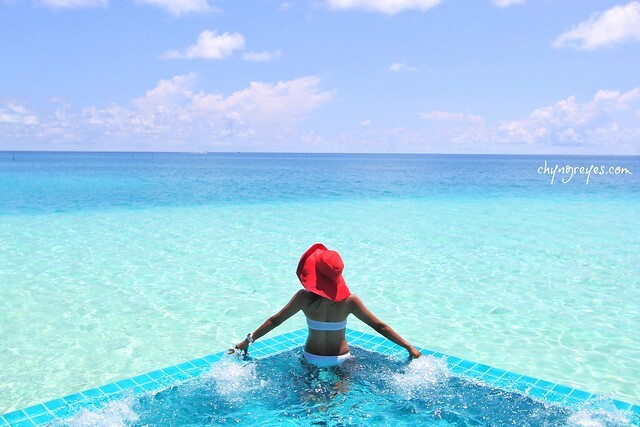 This is exactly how we expected our Maldives getaway to be: exceptional! These were the very first pictures we had in Maldives and we were already blown away. This is the kind of Maldives vibes we went all the way for. We may have gotten the least expensive room, but it still looked well appointed and stylish. It was so spacious and spotless clean. 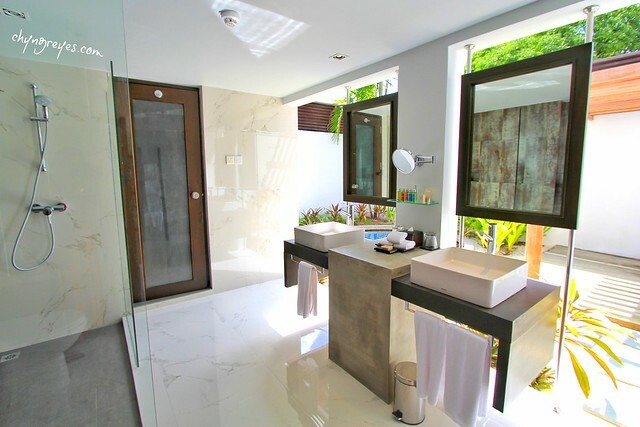 The highlight is the outdoor bathroom with jacuzzi. 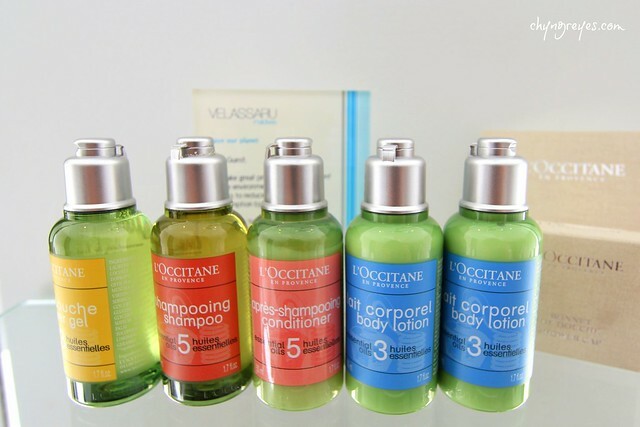 Worth mentioning is the unlimited supply of L'Occitane toiletries. What we also loved about the deluxe villa is its proximity to the main infinity pool and restaurants. We just loved our stay! I can't stress enough how well we enjoyed every corner of our room. House keeping service comes twice a day. Wifi is strong. Actually, there are no deadspots in the whole island. Malakas ang wifi everywhere! 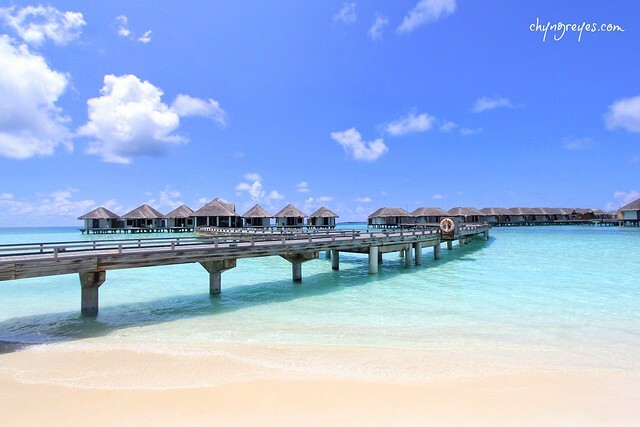 Whenever someone asks me how beautiful Maldives was, this is my default answer: "The google images come to life! 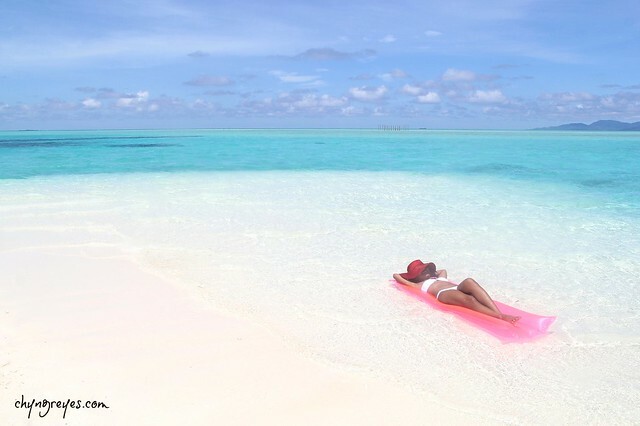 No tricks, no editing needed, the Maldives STILL looks like the images you searched for in the internet". If you know what I mean. While the beach is already outstanding, the infinity pool has a charm of its own. Even the water activities area is this flawless! This side has the same clear water and extra fine sand. We can't believe how good this is. Sea creatures pass by each time! 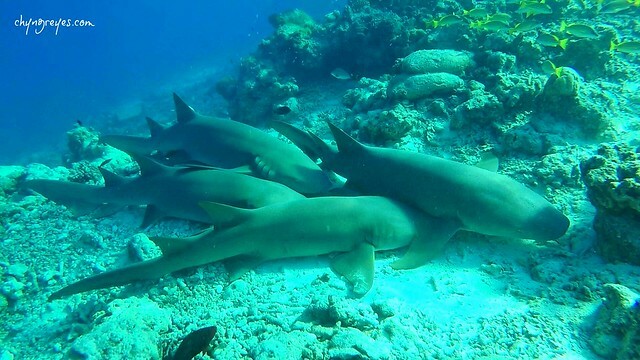 Yes, these include reef sharks and sting rays sightings. Amazing! those dark spots in the water are schools of fish! Not a moment that I wouldn't stop, catch my breath, and appreciate the paradise whenever I walk around. Everything seems perfect. I adore the beaches we have in the Philippines, but hands down - this is the finest waters I've seen. This is surreal! 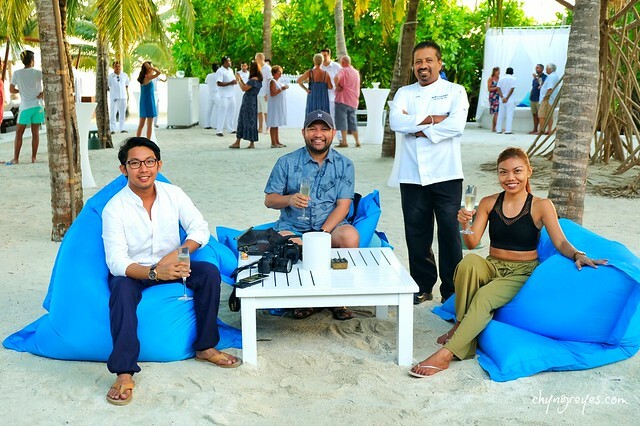 As expected, what made our experience so memorable was the exceptional service in Velassaru. They really carry the Small Luxury Hotel brand. Every staff is very well trained, knowledgeable, and communicates fluently. Each and everyone of them never failed to smile and greet us every single time. They seemed very pleased to serve each guest. Lakas maka-goodvibes! 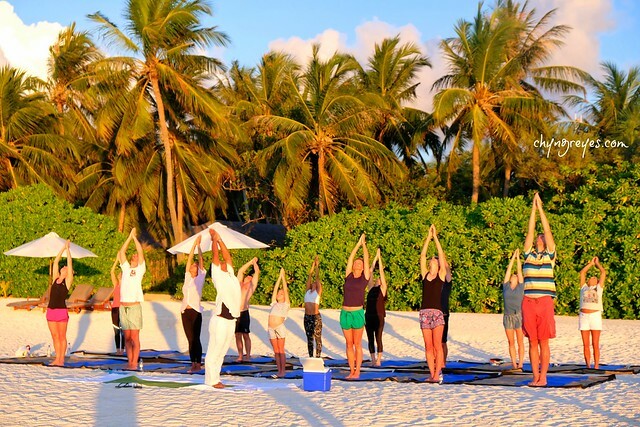 On our first night, I attended a sunset yoga class. I've been wishing to practice yoga outside Pinas, now this in a beachfront facing the sunset in the Indian Ocean. Divine! On the second day, there's this Cocktails Night with the management. It's a meeting between executive staff and guests. This came with free champagne, wine, and bar food. I loved this event since we got to meet and compliment the staff, specially the chefs in Vela and Teppanyaki! 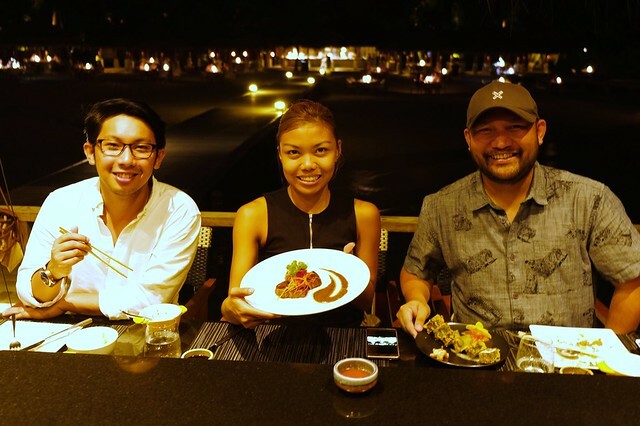 Speaking of the chef, we had the pleasure of meeting at least 4 Filipino staff at Velassaru. I believe all of them are superstars in their fields. All of them takes pride of being part of the luxury hotel. 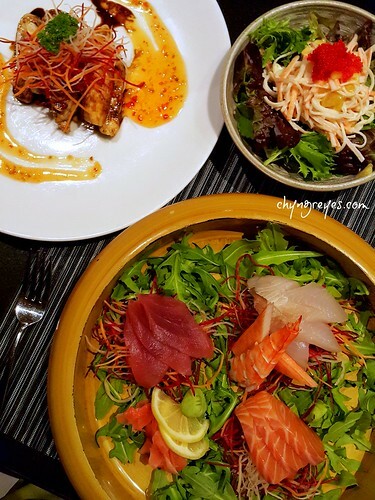 sashimi platter, teppanyaki, kani salad, and angus steak for a whooping $195! omg! 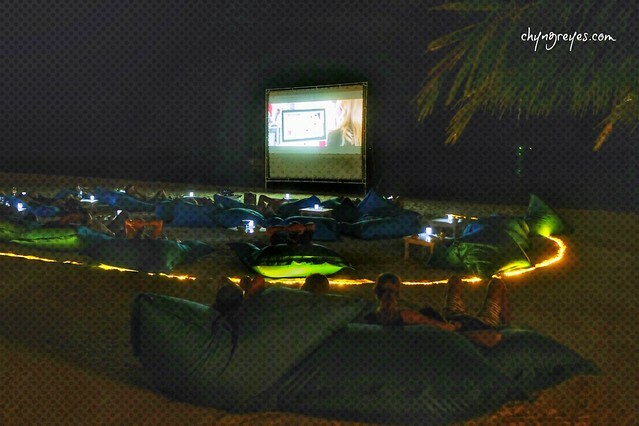 They also held a movie night under the stars, with free cheese and caramel popcorn. Another spectacular experience we had in Maldives. They also offer complimentary morning cruise, but we failed to attend that due to the obvious reason I need not to disclose. With the offerings in this resort, we really think we got more than we paid for. On our last day, we chose to splurge one last time and avail the spa service. 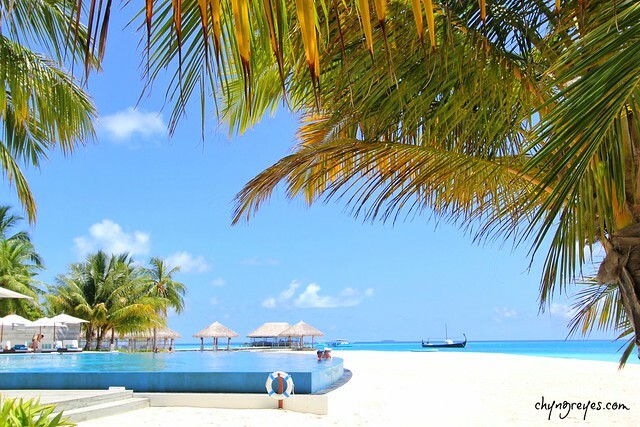 We convinced ourselves that we traveled far enough so gora na and experience the best of Maldives. This definitely is the icing on our stay in the luxury island. time and health are the new luxury. charot! And these, devils and darlings, are the few reasons why it's OK to spend more than the usual in Maldives. Why not? 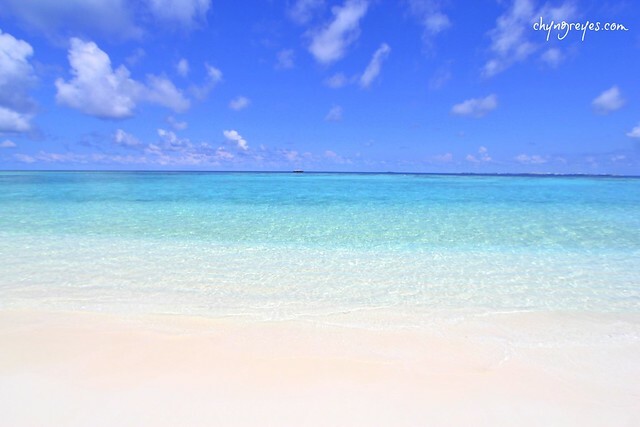 I adore the Philippines and I take pride living in our own tropical island with gorgeous beaches, but as per my beach standards - the exclusive islands in Maldives have the most stunning water I've seen. It's just crazy beautiful, breathtaking, and surreal! ► Really? Better than El Nido? Come on, El Nido just ranks 10th place in my best beaches list. El Nido has its own unique and lucky for us, Palawan is much more affordable. For around $120, a fully tailored, luxurious, and all inclusive Palawan packages are already available. 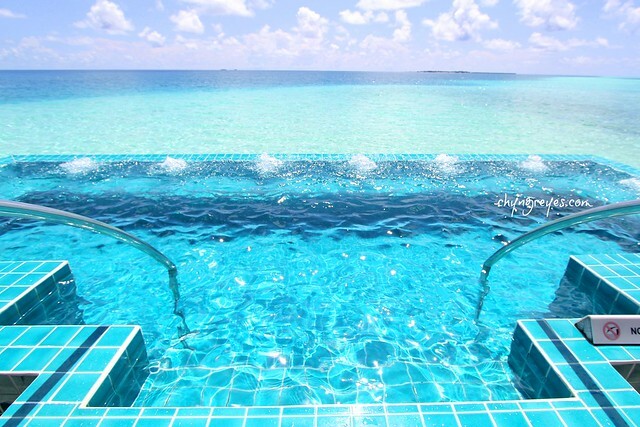 This $120 in Maldives can only afford a day tour. El Nido or Coron or Boracay are obviously our favorites but it's not at par with what I've seen in Maldives. Well to be fair, the public / all-access beaches in Maafushi and Hulhumale seem at par with Puka Beach. 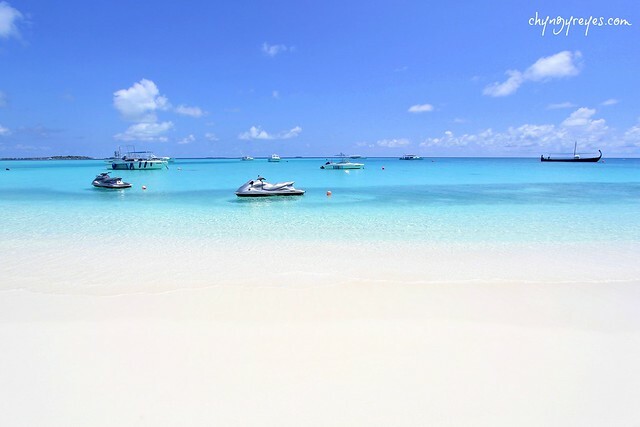 ► However, the beaches in the exclusive islands like Velassaru are incomparable. 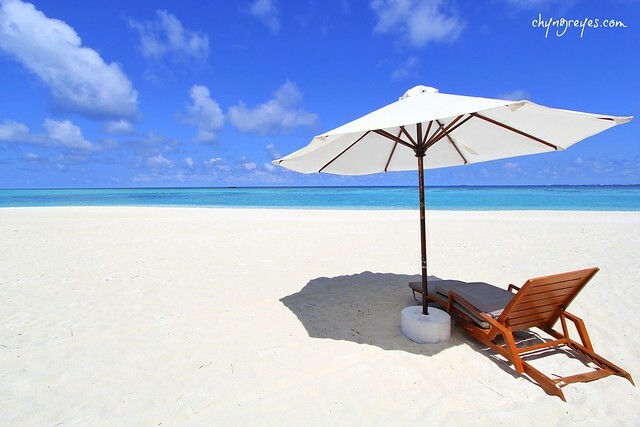 The beach is really pristine, has extra fine sand, and well-maintained. They sweep the shore day and night, seriously. The reef sharks, turtles, and sting rays seem regular visitors of the island. The very reason why the beaches in Maldives are famous. 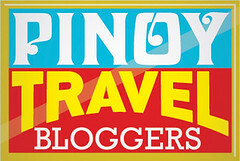 ► Obviously, if your Maldives budget is around P30,000 - then this blog is not for you. I do not recommend flying all the way to Maldives and just see the public beaches. In this category, may laban ang Pinas, bakit lalayo ka pa? Sayang kasi ang punta if you won't experience the real reason why people around the world are raving about Maldives. 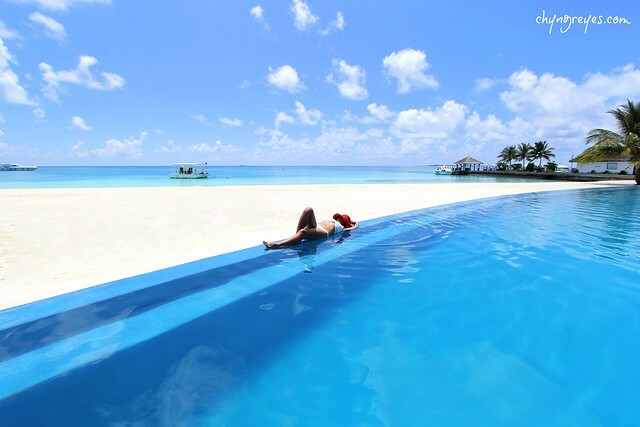 ► OK, so how much is the budget for 1 week in Maldives? 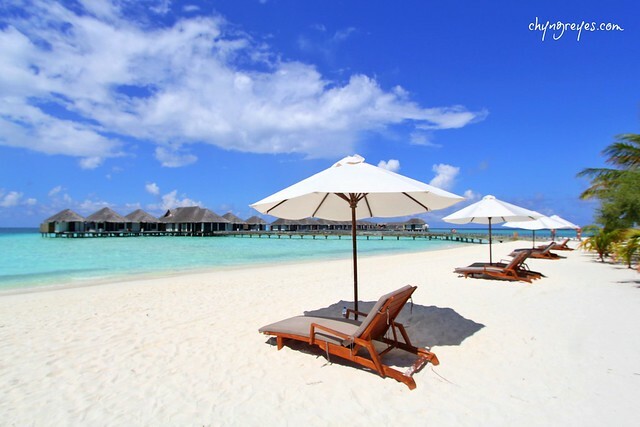 For a group of 3 staying 7 nights in Maldives, prepare P200,000. That's around P65,000 per person and that's all-in, with round trip tickets. Pwede na. Actually 5 nights is enough and that means lesser expenses. 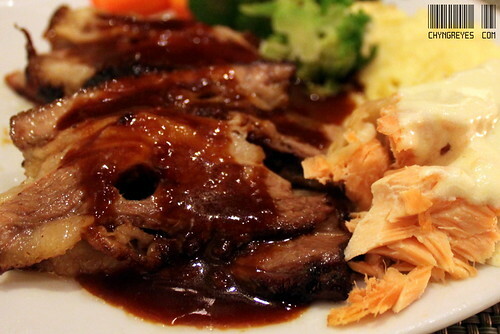 ► And how expensive is the food? Very expensive! I cannot believe that a foodcourt meal in the airport can cost $50! 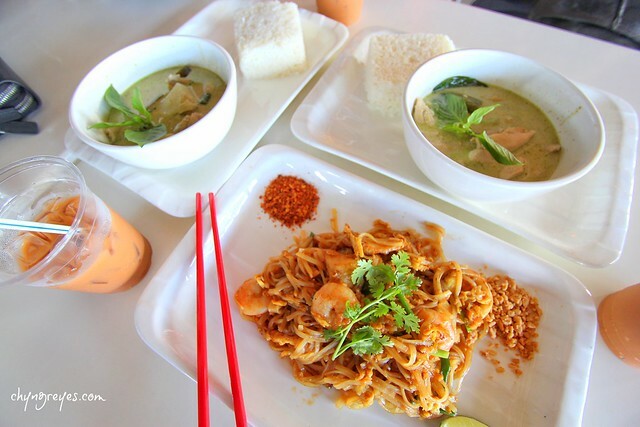 ► Eventually, I realized that the food and all other supplies in Maldives are pricey because these are imported from other countries. Not enough food are produced in Maldives, that's why. And bear in mind that it's not that easy to reach Maldives due to its location. With that, I understand why everything in Maldives is extra pricey. ► I felt bad for the locals, they might be buying the expensive items for the same price. Tax is crazy! I really hope the tourism industry allocates their revenue well. 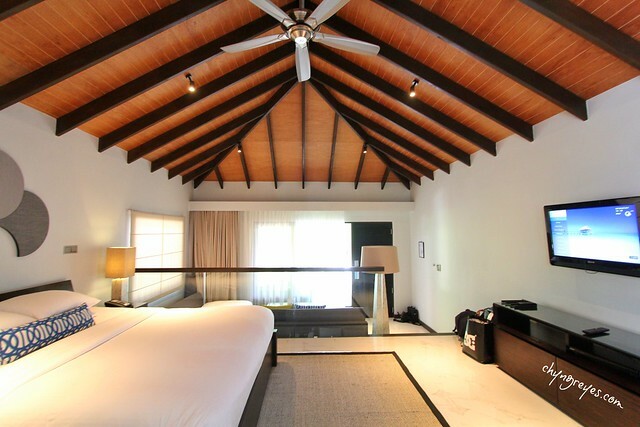 ► Aside from Velassaru, we also stayed at White Harp Beach Hotel in Hulhumale and Ethereal Inn in Maafushi. Both are good but the best value goes to Ethereal Inn. ► It is very very very crucial to check the location of your chosen hotel. 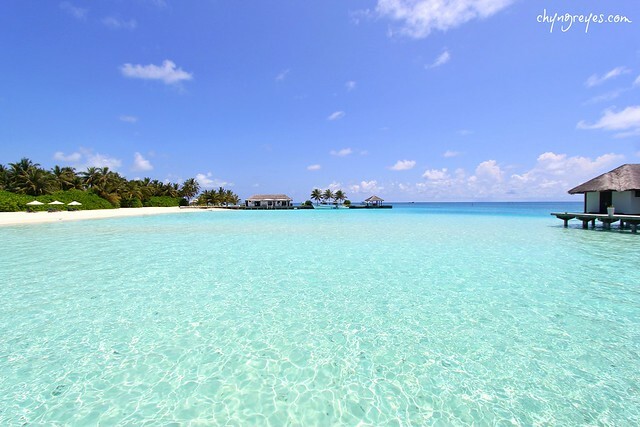 There are a thousand of islands in Maldives and some of them can only be reached by a seaplane! This means you could be spending P10,000 for the resort accommodation but you need to pay P100,000 for the transfers. I'm not kidding! ► We availed the half day island hopping tour for $25 and the whole day tour for $50. Worth it? Hhmm, pwede na. Good to experience but not doing it again. Makalat at mabato ang picnic islands nila. The bare islands in Pinas are better. ► Since we got bored, we decided to do a day tour in a resort. At that time, we were offered to visit Adaaran Prestige Vadoo. Not our first choice, but since it's the one being offered that day, we went for it. Eventually we found out it won't matter much whether there are no other groups to join us. Anyway, the day tour is priced at $100. This rate includes speedboat transfers, decent buffet lunch, and unlimited alcoholic drinks. Fyi, alcohol is only allowed in exclusive islands . They secure permits for this. Thanks to the alcohol which kept us busy. Charot! Bottomline, hindi maganda. Vadoo is not worth the money! Adaaran Prestige Vadoo - so-so, not my favorite. ► What thrilled us among the tours we availed was seeing the sharks and sting rays. No dolphin sightings but that's OK.
► On a side note, I appreciate living in a country like ours. We don't have to spend so much to see the beauty of nature. We don't have to import our food. Our country is blessed. We are lucky, everything here is affordable! 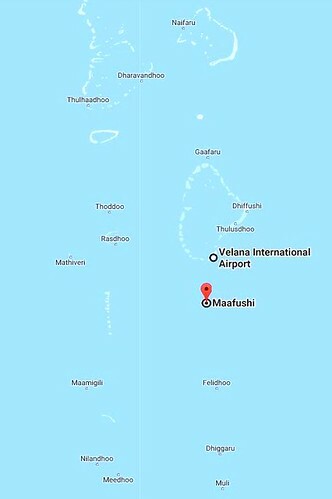 ► We found a lot of foreigners working in Maldives, mostly from Bangladesh, Sri Lanka, India, Philippines and other south east asian countries. With this, I realized that we really belong in the working class and that's not even a negative thing! Filipinos can find jobs and even standout anywhere in the world. I felt happy for these Pinoys in Maldives who seem to really love their job. ► Aside from being very accommodating, Maldivians are very good English speakers! I'm amazed. A guide told us English is not being taught in school yet almost all of them speaks English fluently, without any buckle. Husay! 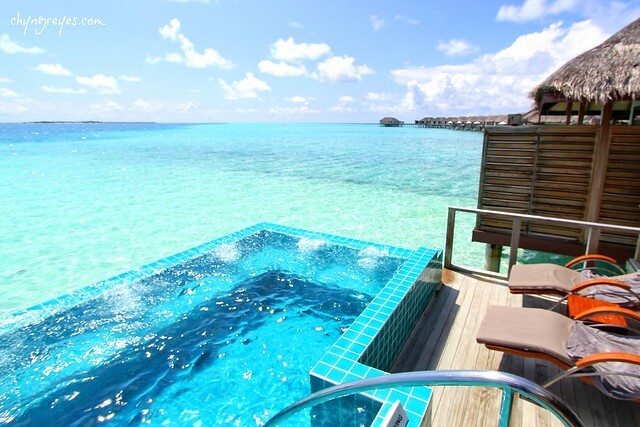 ► If I would visit Maldives again, I will skip the tours and just allot all the money for a stay in an exclusive resort. Medyo nabored na kami sa Maafushi.